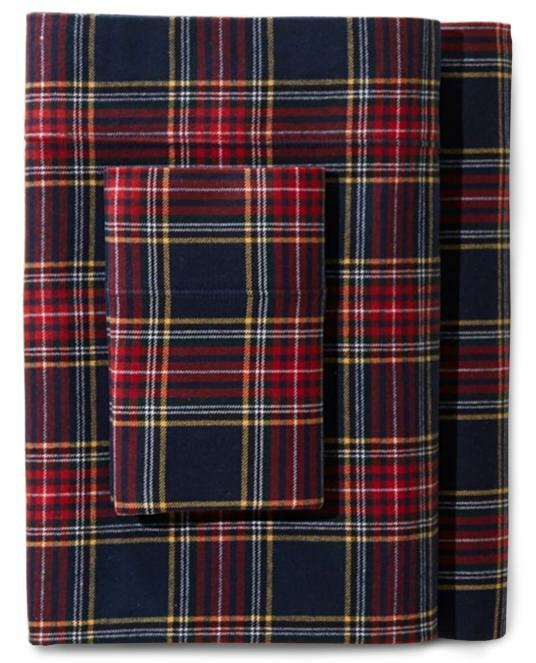 The Best Flannel Sheets | Valet. 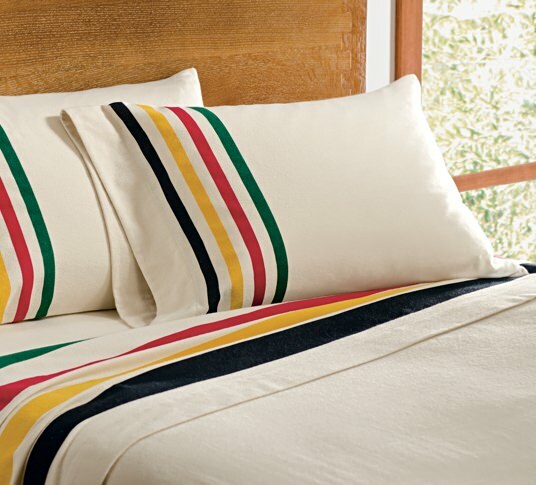 The Glacier Park flannel sheet set (from $119) by Pendleton. Imagine it. You're staying in a remote cabin at the base of some snow-capped pine-covered mountain. There's a wood-burning hot tub outside and despite the chilly temperature and the fluffy snow falling, you strip down and lower yourself into the warm, inviting water. Damn, that feels good, right? Now what if I told you that you can get that feeling every night until spring? 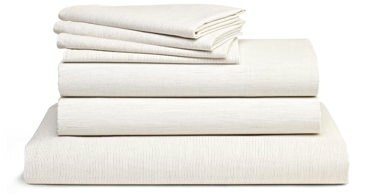 Because with a good set of flannel sheets, you get that same sensation—the inviting, enveloping warmth and cozy contrast to the chilly winter air—from the comfort of your own bed. 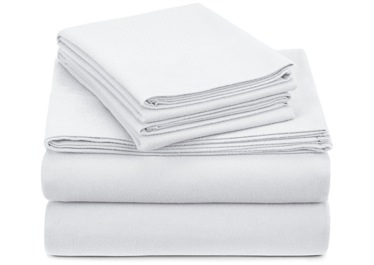 I'm talking about flannel sheets. And as far as I'm concerned, buying yourself a set is an act of self-care. Soft yet sophisticated, they are a guaranteed antidote to winter's cold, dark nights and frigid mornings. But be careful about which you choose—not all flannel sheets are created equal. 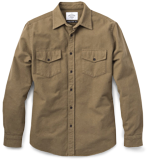 The best ones are unbleached and often made from Portuguese cotton flannel (widely regarded as the world's finest) and will be brushed on both sides. The end result feels akin to cashmere and only gets softer with each wash. The cheap ones feel more like felt and because they're bleached, will develop thin spots after a few washings. They'll also start pilling like an old sweater. Which will make those sheets feel like sandpaper come February, when we're really sick of the cold. So invest in a long-lasting, quality set you can use year after year. Not sure about flannel? 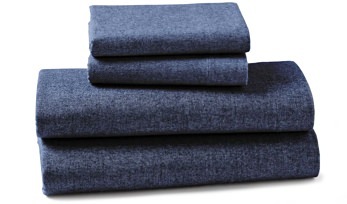 These are made with a luxe cotton twill that isn't as fuzzy as flannel. The Portuguese Flannel label makes ruggedly handsome shirts like this heavyweight chamois style that's ideal for winter layering. 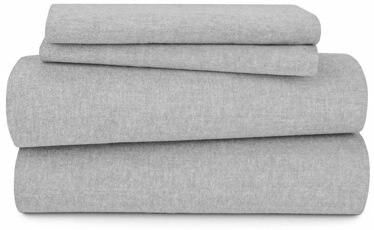 Top-rated for its cushy texture and surprisingly affordable price. Personalize these with a custom monogram. 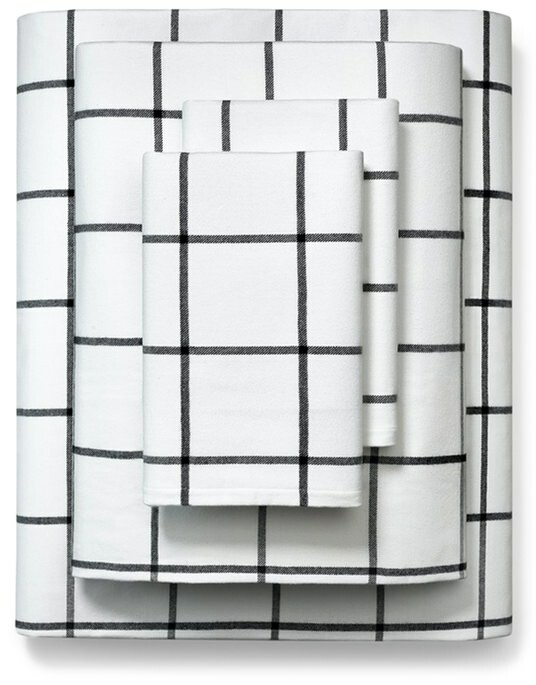 Because you've been putting off buying sheets for way too long. There's no better time to bring the green inside.